Brittany Horne CARMEL—Carmel High girls basketball coach Dan O’Hare is hoping his team learned some valuable lessons last season – especially at the end, when the Rams lost in the sectional quarterfinals, closing the winter with a 1… Please login below or purchase a subscription to the Putnam County Courier to access this content. Vania Simpri BREWSTER—After a solid season last winter ended with the Bears playing in the Westchester County Center, the Brewster high girls basketball team has one major goal in mind for the 2009-2010 season: take it one step farther. The B… Please login below or purchase a subscription to the Putnam County Courier to access this content. Kevin Davidson CARMEL—After a solid 2008-2009 season that saw the Carmel High wrestling team finish fifth at sectionals, the Rams are hoping they have enough talent left on the roster to retain their status as one of the big kids on the block. … Please login below or purchase a subscription to the Putnam County Courier to access this content. 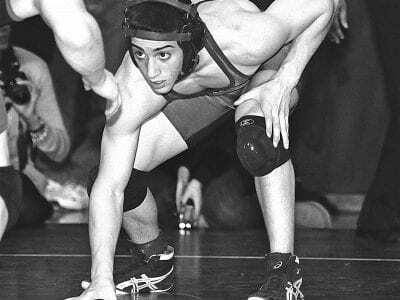 Mike Parisi ( BREWSTER—With virtually the entire starting lineup returning from a team that went 27-8 in dual meets last year, the Brewster High wrestling team is looking for a strong season on the mats this winter. Coach Tom Looby, entering … Please login below or purchase a subscription to the Putnam County Courier to access this content. PUTNAM VALLEY—The Brewster High boys and girls track teams look strong again this year. That’s saying a lot coming off a year that saw the boys win the indoor and outdoor league championships. They came in second at the county championsh… Please login below or purchase a subscription to the Putnam County Courier to access this content. 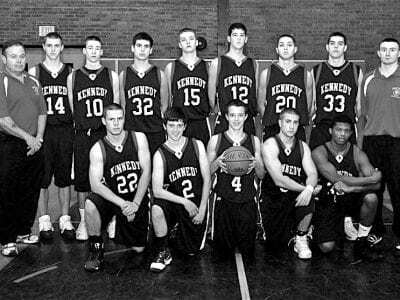 The Kennedy Catholic High boys basketball team SOMERS—After a first-round exit —compliments of Pelham—from the sectional tournament last winter, the Kennedy Catholic High School boys basketball team is itching for a return to the po… Please login below or purchase a subscription to the Putnam County Courier to access this content. 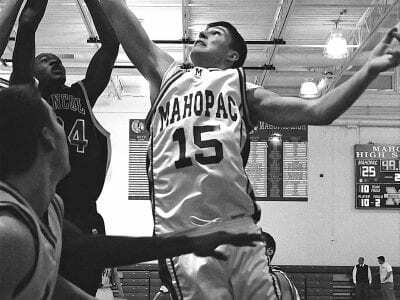 Eric LoPata SKIP MAHOPAC—One year after recording a 17-5 record and making it to the sectional quarterfinals, the Mahopac High boys basketball team is experiencing a bit of a youth movement after losing 10 players from last year’s squad. … Please login below or purchase a subscription to the Putnam County Courier to access this content. SOMERS—In his first year as coach, Al Morales and the Kennedy Catholic Gaels girls basketball team finished with just two wins and 12 losses. But with eight seniors returning – including all five starters – he has high expectations. “… Please login below or purchase a subscription to the Putnam County Courier to access this content. Justis Flamio SKIP MAHOPAC—Despite having a new coach and a young roster, the Mahopac High School wrestling team is still aiming high. New coach Juan Torres said in an interview this week that his team, which consists of 32 wrestlers, simply … Please login below or purchase a subscription to the Putnam County Courier to access this content.